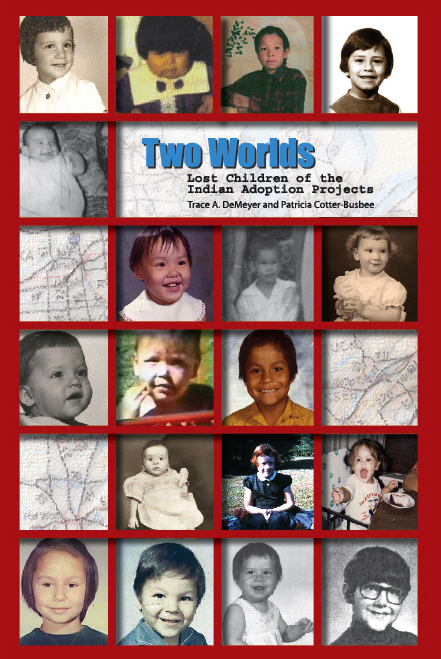 I can’t stop thinking about Baby Veronica, and neither can many other adult adoptees. Baby Veronica…another “Trail of Tears”? For Veronica, who has been callously adopted against the wishes of her paternal family. It is okay to feel resentful. It is okay to feel betrayed. It is okay to feel abandoned. It is okay to feel disconnected. It is okay to feel like a pawn. It is okay to feel that something was taken from you. It is okay to feel you had no control. It is okay to feel that your voice was silenced. It is okay to feel that the system completely failed you. All of these feelings are completely normal under the circumstances. You are adopted. But you are not alone. You are not the only one. Your fellow adoptees will be here when you need us. We will lift you up. How much did you cost? The literal price of adoption. Now that the crowdfunding craze has caught up with adoption, it is normal within adoption mediation to talk about “sticker shock” concerning the price of adopting children. I realize that just once I would like to see an article that discusses our shock at how much we set our adoptive parents back. In my case, outside of airfare between Iran and Lebanon (where my adoptive father was working at the time), I have a cancelled check for $300 in among my paperwork. This was a “gift donation” to the orphanage, though everyone I talk to was basically shaken down in a similar way, and these “gifts” were expected to continue beyond the date of adoption, and were often a yearly contribution at Christmas or our birthdays. $300 in 1963, adjusted for inflation [inflation calculator] is $2,283.77. I think I was pretty much a bargain, compared to today’s adoptions. At lunch with my newly discovered brother, Chris. I admitted that while I saw a bit of it around the mouth, I wasn’t so sure. He wouldn’t be swayed. Pointing to his cheekbones and the shape of his eyes, he said, “When I saw your pictures, I knew right away you were my sister. 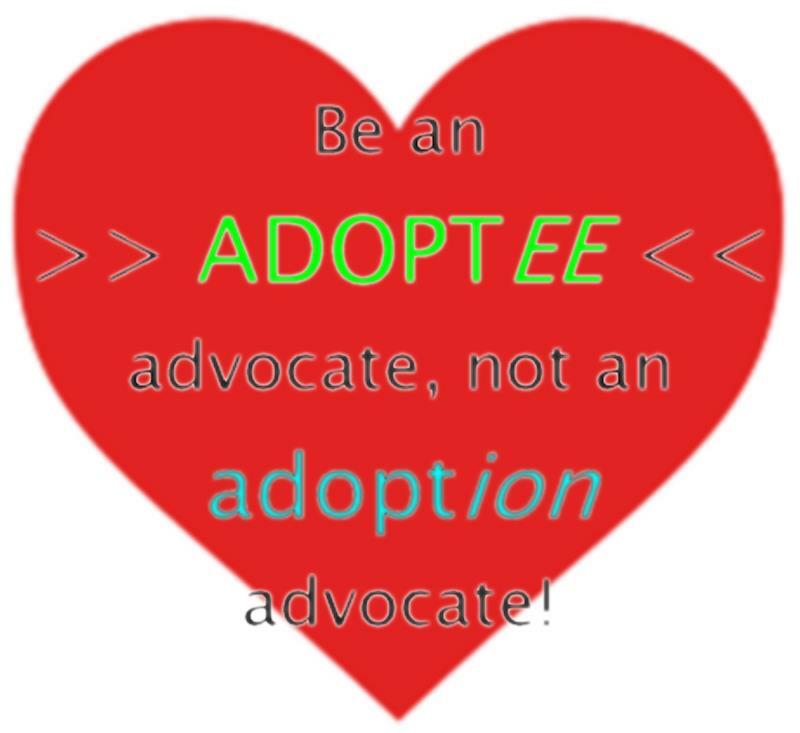 Be an ADOPTEE advocate, not an adoptION advocate. There are so many people who prattle on about how they advocate for adoption, yet why does adoption – which is nothing more than a profitable Institution – need such advocates? It’s not adoption that needs advocating for, but the ADOPTEES to whom adoption is done to. It is the ADOPTEES who are the people living this who need to have their rights protected – or even instated. It is the ADOPTEES whose voices are stifled by accusations of bitterness should they dare say anything other than flattering towards adoption. You’re not adopted? But you don’t look like your parents at all! What’s it like not being adopted? Are you sad because you weren’t chosen? Knowing why you look that way and where many of the things you like and dislike about your appearance come from, being able to see these things in the people in your house and in the people you see at family reunions: What’s that like? Do you feel like a part of your family? Does having the same eyes or nose or laugh as others make you feel ordinary, not special? Do you ever think about other, unreal parents?